The Honors College at LeTourneau University seeks to provide intellectual, formational and practical experiences that develop students in understanding their call or vocation, growing in character and wisdom, and seeking the good of their community. The Honors College program offers unique classroom experiences and curriculum, intentional communal living in dedicated Honors housing, and additional educational and social experiences. It is a place to be further formed in the image of God. 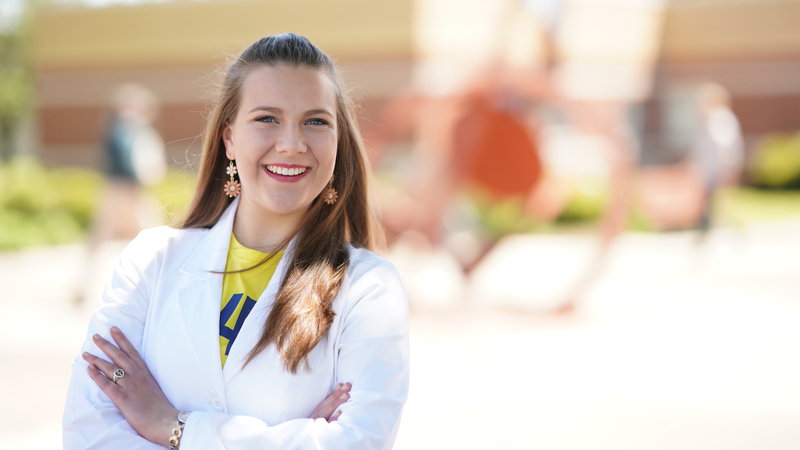 Below is the viewpoint of Annabelle Malinowski, biology major and Honors student, on how the Honors College has added to her time at LETU. One of my biggest fears moving away to college was dorm life. Now it is one of my greatest joys! I never had sisters of my own, but now I am surrounded by sisters and brothers who share my passions for scholastic excellence and following the Lord wholeheartedly. It is truly family. Even though I grew up in a thoroughly Christian home, the Honors courses have expanded and strengthened the way I view God and His work in the world. After taking a class on the Apostle Paul, I have a more complete comprehension of why the Resurrection of Jesus Christ is a vital tenant of Christianity. In seminar classes, participating in lively discussion stimulates my own understanding of the material. Dietrich Bonhoeffer once wrote “the goal of all Christian community (is to) meet one another as bringers of the message of salvation.” Not only have I found this in the community of LeTourneau, but also in my home church in Longview! Active church participation has given me opportunities to practice what I’ve learned in the Honors College about loving the communities God has placed you in. Through offering experiences that are intellectual, formational, and practical, the Honors College seeks to form students in understanding their call or vocation, growing in character and wisdom, and seeking the good of their community. Davis Hall has all of the conveniences of home on a residence hall-sized scale. It is also home to the Honors Commons, where students in the Honors College reside. We base our selection on several factors, such as outstanding academic achievement and extracurricular involvement.